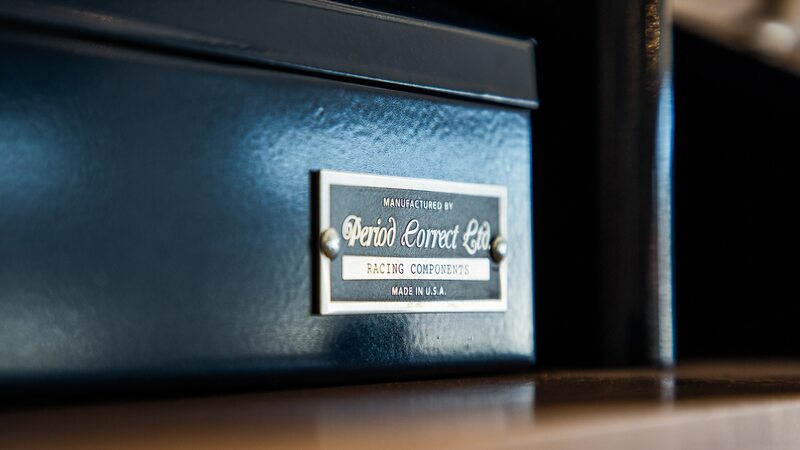 Period Correct is putting its own spin on heritage product. 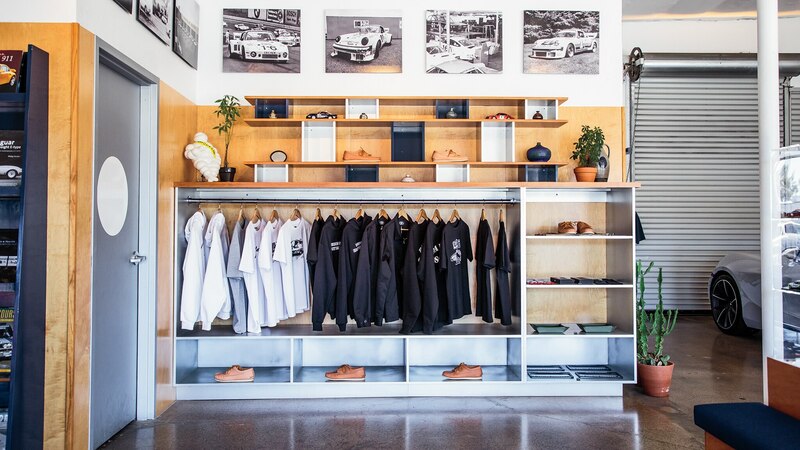 The automotive-themed apparel space is a tough one to occupy. Good luck finding something that isn’t tacky, uninspired, or poorly made. 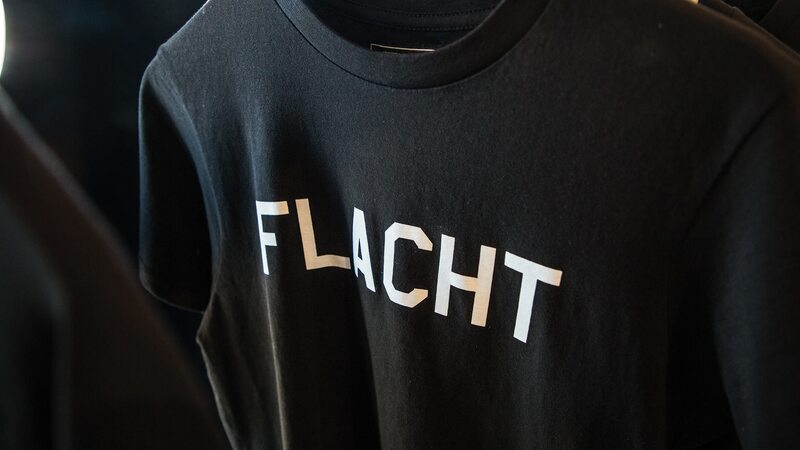 Even if an item manages to be properly constructed, it’s usually a graphic tee you shouldn’t wear outside of a Cars and Coffee. 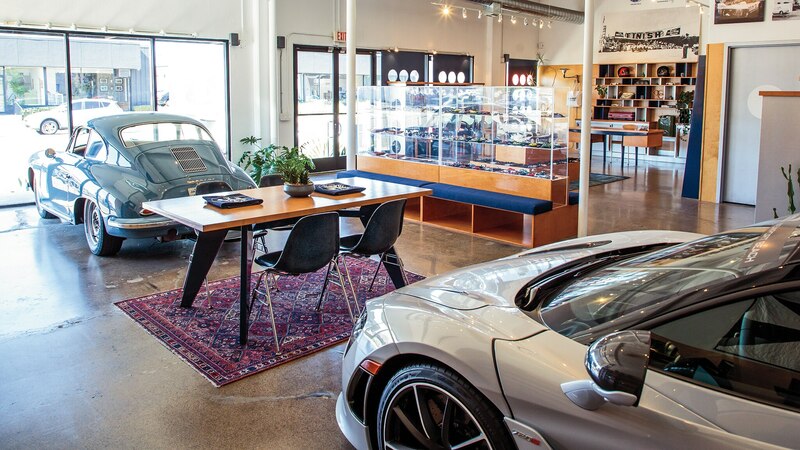 California-based Period Correct’s clothing and accessories, however, have equal footing in fashion and automotive. 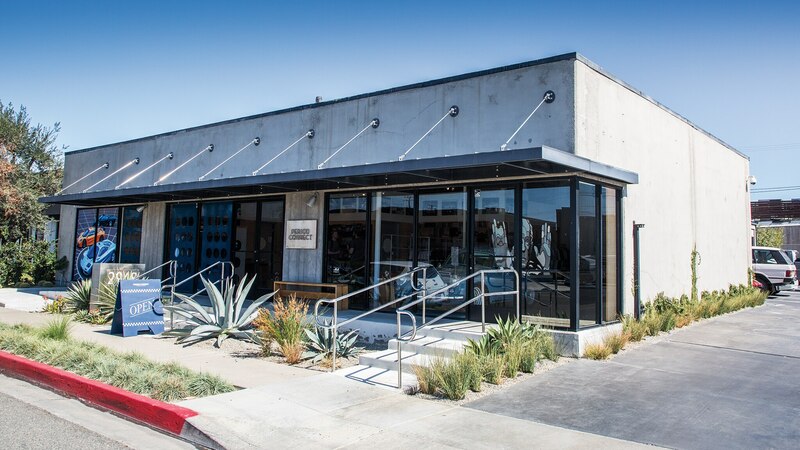 Most of what’s in its small Costa Mesa showroom channels the aesthetics of the ’60s through the ’80s, repackaged into modern apparel: jackets, T-shirts, and long-sleeve shirts with minimalist graphics that appear ripped straight from old-school paddocks. The P.C. 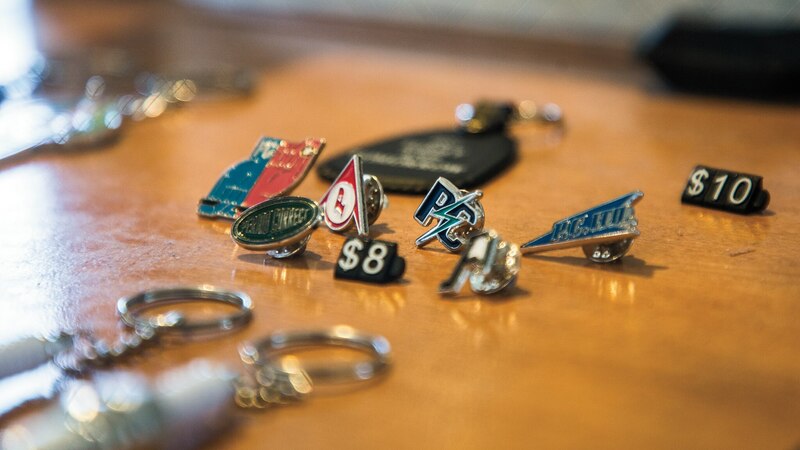 name also finds its way onto special edition jerry cans, toolboxes, sunglasses, lapel pins, key trays, and earplug boxes. Each new season brings a different era of racing or automotive iconography, ranging from Group B to BMW’s M division, overlaid on a dark color palette. The most recent release is inspired by the McLaren F1; P.C. worked directly with McLaren for source material and schematics. The company’s showroom is picture-perfect, a modern space occupied by product and defined by tasteful decoration. In another time, this was the longtime location of Parts Obsolete, one of the first shops for hard-to-find Porsche parts. For founder and creative director Bryan Calvero, P.C. is a reflection of his personal tastes. “I’ve been into cars since I was 4,” he says. 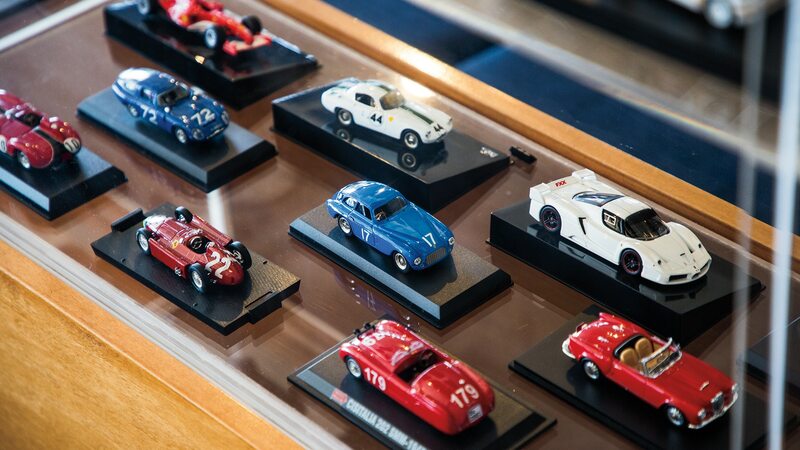 “I collected all the 1:18- and 1:43-scale models and filled my room with Formula 1 posters.” Calvero’s primary background is in apparel sales, previously managing several brands before launching P.C. It can now cover as many as 370 miles per charge. Our friends at MotorTrend ran from the Bay Area to L.A. in one go. It’s one of the most striking cars you’ll ever see.